No, this hasn’t ever actually happened to me, but this is in honor of all the New Yorkers for whom the struggle is real. Now that it’s finally hot enough to need an air conditioner, it’s time for the season of walking by store fronts in the hope that someone opens the door and lets a blast of cold air out and dodging falling air conditioner juice. It’s also rhubarb season, so I couldn’t pass up the opportunity to get some of those bad boys into a pie. Special shout-out to my co-worker, Michelle, who always buys me hard-to-get groceries at her co-op and who is one of the few people who consistently reads this thing. This was supposed to be a BlackBerry Lemon Rhubarb Pie, but was turned into a Blackberry Raspberry Lemon Rhubarb Pie extravaganza. I was thinking of this pie as sort of a Sour Patch Kid… it’ll kick you in the shin with some sour action and then kiss your boo boo with an ending of sweet flavors. It’s kind of a metaphor for summertime. It’s always really exciting when it gets warmer and even more exciting when you’re able to afford an A/C unit for your shoe box apartment. But then there’s the labor behind putting that baby into the window without either dropping it out the window on an unsuspecting victim below or back onto yourself, giving you or your pedestrian foe several black[berry] and blue marks and definitely some sour [lemon] feelings. I technically had to add in raspberries because I didn’t make enough filling and I happened to have them. I’ll let you use your imagination as to what those could represent. I topped all of these off with little air conditioner-shaped cut-outs. Literal, but effective, if I do say so myself. – In a medium bowl, combine blackberries, raspberries, and rhubarb. – In a separate bowl, mix together 3/4 cup sugar and 1/4 cup flour. Sprinkle over fruit mixture and stir gently. Add in lemon juice and lemon peel and stir gently again. Cover bowl and refrigerate overnight (if you have time, but at least for an hour or two). – For crust, mix flour with salt and sugar. Cut in butter until texture is crumbly. Add 6-8 tablespoons ice water, one at a time, kneading lightly with fingertips until the dough forms a ball. Separate into two even balls, flatten down into a disc, and wrap in plastic wrap. Refrigerate for at least 30 minutes. – Roll out one of the pieces of dough to use as bottom crust in a 9 inch deep dish pan. Leave some extra dough at the edges for attaching the top crust. – Mix 1 tablespoon melted butter into fruit filling, then spoon into pastry-lined pie pan. Not pictured: The raspberries I had to add so I could fill out the pie better. -Roll out top crust and use cookie cutter to create lattice-like design. Drape over pie filling and press gently to attach the top crust to lower crust. 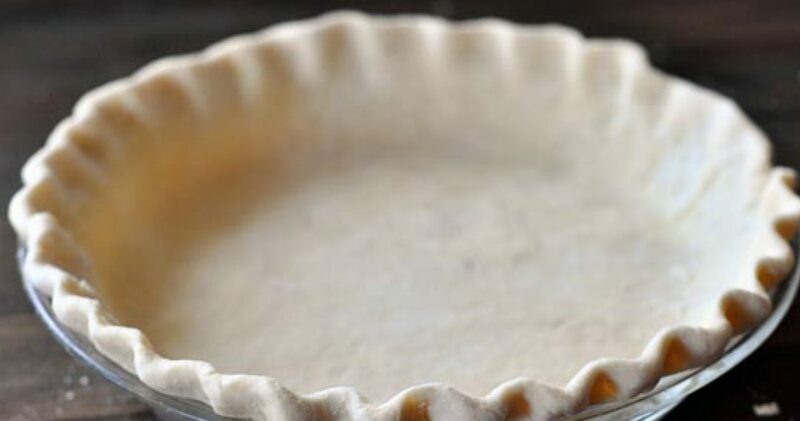 – Use egg wash to attach the dough cut-outs and place along the edge of the pie crust. – Brush top of pie lightly with half and half and sprinkle lightly with sugar. – Bake in preheated oven for 10 minutes. Reduce temperature to 350 degrees F and bake an additional 40 to 50 minutes, until golden brown. Delicious! I wish I hadn’t had to add in raspberries (just double your blackberries if you want to try as intended), but it added in a beautiful color. I’d recommend using a slightly smaller cookie cutter if you have one. And maybe using a measuring implement instead of just eyeballing it like I did! Creds: Most of the berry filling recipe came from Susan Gills.